It’s a great time of the year for frugal shoppers everywhere, since Black Friday 2015 is just around the corner. 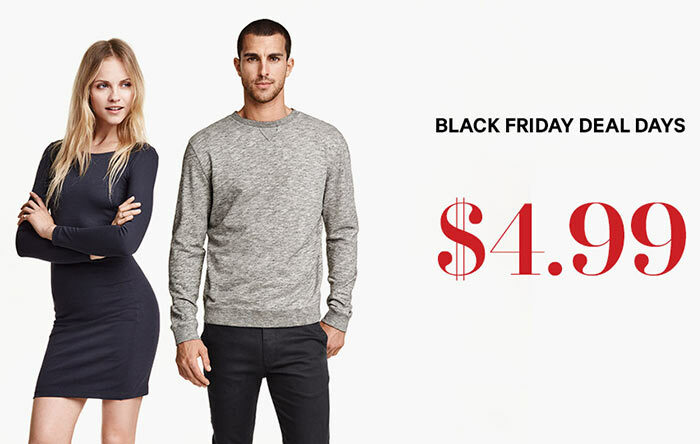 Many online retailers have already begun their sales, and H&M is one of them tempting us with its Black Friday deals for 2015. There are many great deals already, with more to come no doubt, and here are some of our favorite H&M sale items available online now. Before you start shopping, keep in mind that H&M’s pre-Black Friday deals for 2015 started on November 17 and will last up to the 25th, offering 60% off each purchase, while on November 27th some	stores will be open until 12 AM. H&M’s Cyber Monday deals 2015 will last from November 29th to December 1st, offering 60% off the entire purchase, as well as free shipping and extra 40% off for orders over $50. Pretty good, huh? Every woman needs a pair of stylish leggings, but of course you could always use more! These high-waisted jersey leggings provide fun textured patterns so you can maximize your comfort and balance that with style. It’s the best of both worlds! Now available for $9.99, this is a great chance to snag up a new pair of chic leggings for the cold months. Bootcut jeans can do wonders for your figure. Many women stick to their skinny jeans, but I think a pair of bootcut jeans is a great addition to anyone’s wardrobe. These low-rise jeans have five pockets and seem super comfy, perfect for an everyday casual look! They’re on sale now for $24.99. But it’s also important to remember your skinnies! These are stretchy twill pants with side and back pockets, giving you the ability for minor storage while having the comfort of leggings. You can wear these any day for a casual look, but also have the option of dressing the look up for a more professional look. These are a great addition to any woman’s wardrobe, and are on sale for $19.99. Once winter hits, everyone needs a warm coat. 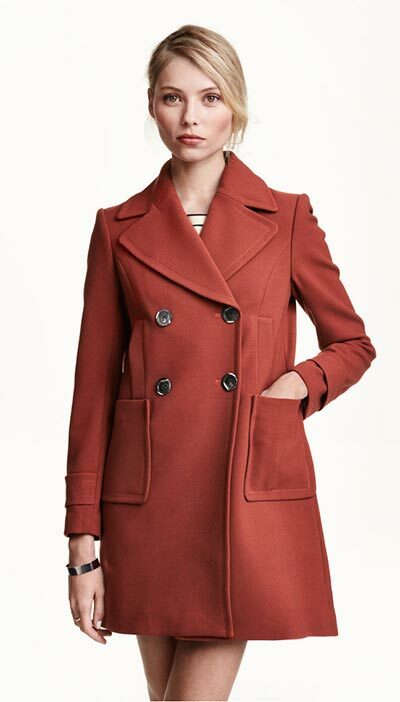 H&M offers this coat, which uses both heat and style in its design. It is made of a cozy woven fabric, with a slightly oversized fit. It’s a take on the classic winter peacoat, so it’s primed and ready for the cold winter streets. There were also comfort elements taken into account, such as the pockets specifically made for hand warming, and the lined, oversized fit perfect for a cold day. It is on sale on H&M now. This jacket is the perfect balance between casual and professional styles. The jacket is made from woven cr‚Äö√†√∂‚Äö√ë¬¢pe, and mimics the classic professional blazer, but the length takes away from the stiffness. You can get it in black or light taupe, with extended lapels that can help dress the look up for a professional outfit if you choose, but doesn’t limit your outfit choices, since it would be just as easy to create a casual look, when paired with skinny pants. This is a garment that can translate easily into the spring months as well, if the taupe jacket was paired with something like a floral dress. Buy it on H&M’s website now!